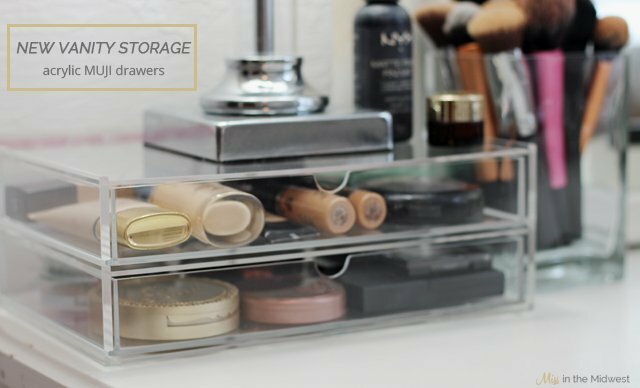 After a lot of research – even considering the purchase of a new, bigger vanity – I ultimately decided that some tabletop drawer organizers would help solve the issue. I knew that I wanted acrylic drawers to give the illusion that they weren’t taking up too much space on the table, and that’s where MUJI came in. Holy moly – I cannot sing this company’s praises enough. I discovered MUJI through numerous YouTube beauty gurus, and now I understand why makeup lovers adore these storage boxes. They are sleek, functional and affordable. My purchase was less than $60 – for solid quality acrylic boxes, that’s a steal. It took me a couple days to decide on what size drawers to purchase since not all of them are the same height and depth. For my needs, I settled on two different sizes. For face products, I went with the two-drawer case. I store foundations, concealers and a couple powders in the top drawer and bronzers, blushes and highlighters on the bottom. For eyes and lips products, I chose the three-drawer case. You’ll notice that the second drawer can house up to THREE eyeshadow palettes – the LORAC ones are stacked on top of one another, and the IT Cosmetics Naturally Pretty Palette is hanging out in the back. In the long run, I think I’m going to store my palettes elsewhere so I have another drawer for lip products, but I wanted to demonstrate just how deep and high the drawers are. Another bonus of these acrylic cases is that all the drawer cases that are available are the same width, which makes them easily stackable. So, if I ever need to purchase additional cases in the future, I’m glad to know that I won’t have to sacrifice additional tabletop space. Needless to say, I am over the moon and impressed by these little drawers. It’s much more convenient now to have my daily products within arm’s reach on top of my vanity, leaving the drawers with more storage space for seasonal products and general overflow. 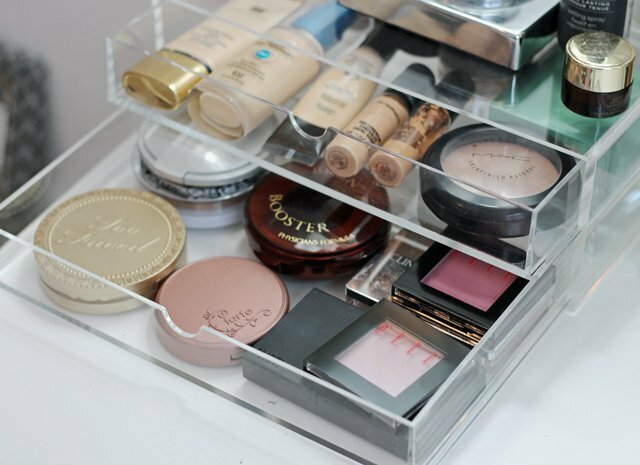 Do you use any type of makeup organization system? I am so happy you posted this!! I've been wanting to order some of these but wasn't sure. This officially sold me! Thank you! I absolutely love these, they look so neat and clean. The reason I haven't bought any yet is because I always get hairspray on stuff and I don't want to ruin them or make them look gross 🙁 Let me know your thoughts on this, if you think they wipe clean good or not! I love how neat and organized everything looks! 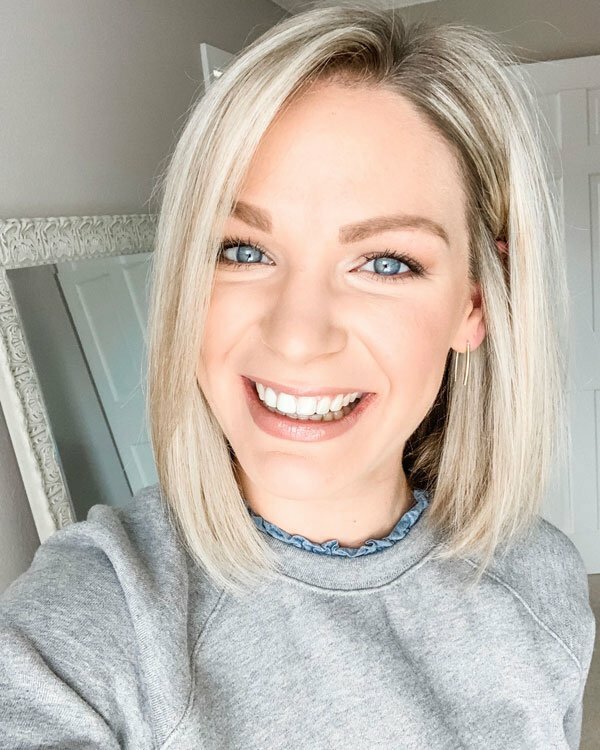 My makeup is currently a mess- I wish I had counter space somewhere to have something like this, it looks amazing! I really like the acrylic look! I need to invest in better makeup storage and organization. You can't go wrong with either ones that we posted about – acrylic definitely is the way to go because it's sturdy and doesn't appear to take up too much visual space. Good luck! I am so jealous that they just opened up a store by you! 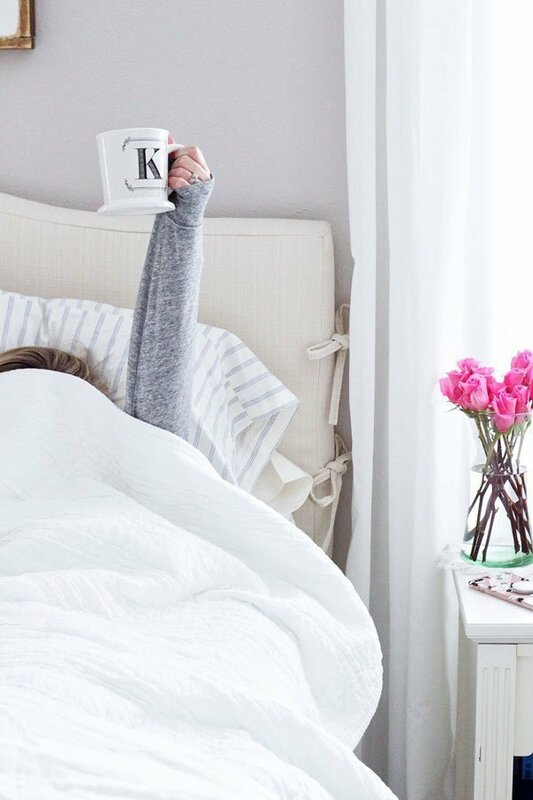 I bet they have so much great organizing stuff – and these really are so affordable. These definitely fit the bill for what you're looking for! Right?! I couldn't agree more! Awesome! I think you'll be super happy with them. I think these would be perfect for you! They really don't take up too much space. You absolutely should! These don't take up much space at all, and it's so nice to be able to see what you're looking for. These are perfect for palettes! Now that your makeup is organized, does this mean I will stop receiving the overstock? LOL! I'm on the hunt for something like this after you and Amanda from Meet at the Barre posted such awesome options. Decisions, decisions! A Muji store just opened up here and I can't wait to go see all the stuff they have for organizing! I always thought it was so expensive, it's amazing to hear that they are really affordable. They look so pretty on your vanity! Ah so jealous!! Your makeup looks so pretty in these. I have an acrylic organizer for my makeup, but it only has the top tray sections and one drawer. My makeup is overflowing, but I don't have the counter space for anything bigger. Someday I will have a vanity space! I really need an acrylic organizer! They're so clean looking and right now my makeup is everywhere lol!! I think that acrylic looks soooo good! I love that you can still see the contents but ti looks all fancy! 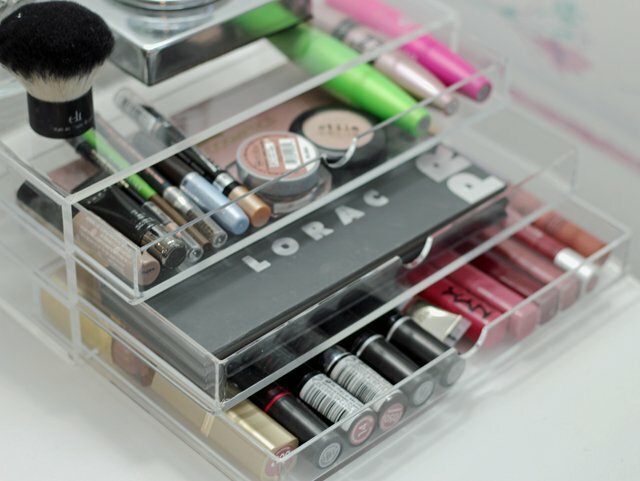 I love the look of the acrylic organizers, I was just thinking the other day I should pick some up and quit just keeping my makeup in a makeup bag all the time since 9 times out of 10 I'm putting it on at home! These drawers look fantastic and I know how much happier you are being organized! I need a new organizer for my bathroom and this just might fit the bill! Thanks for posting it!! !